QMI Security Solutions is under consideration for the 2015 Innovation Prize at the R+T world trade fair for roller shutters, doors/gates, and sun protection systems in Stuttgart Germany. New products are presented at R+T and product innovations are celebrated with the prestigious Innovation Prize. 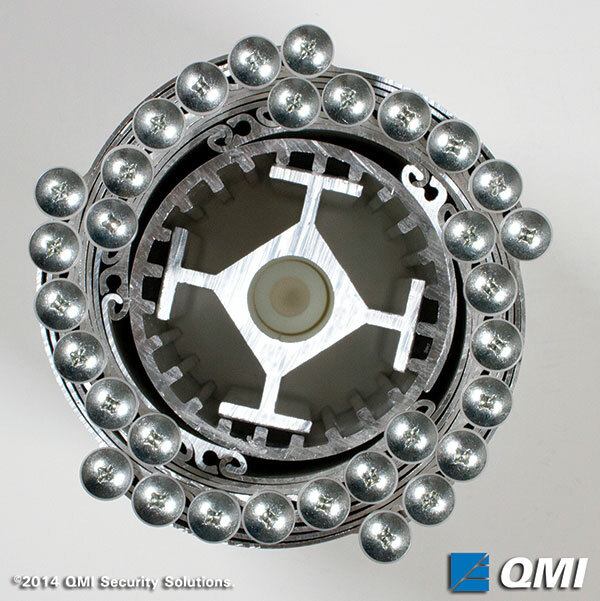 The Qompact roll shutter by QMI Security Solutions is the evolution of roller shutter design. The unique, proprietary design features a special slat design that rolls into a tighter coil, reducing the shutter box size by up to 40+%. The curtain is divided into groups of different sized slats. As the roll gets larger, the slat size is adjusted so that the hinges sit next to each other (adjoining) instead of on top of each other (stacking)-often referred to as a “nested” design. The Qompact shutter meets FBC hurricane compliance and is pending Miami-Dade certification. Qompact’s FBC allowable maximum widths are up to 19’-6” wide and up to 166” wide at 100psf. Qompact has a max height of 15’ tall in just an 8” box housing. Most shutters up to 122” tall fit into a 6.5” (150mm) box housing. Qompact has a demonstrated sales performance in the US for both security and hurricane protection use, which is why it’s no surprise that the product is now grabbing global attention. As the largest industry trade show, R+T welcomes exhibitors from across the globe. All international companies of any standing are represented there. The trade show also has a track record for recognizing breakthroughs in product development with its Innovation Prize. Winners for the 2015 Prize will be announced in January 2015. The R+T show occurs every third year and the next trade fair will be held February 24-28, 2015 in Stuttgart Germany. Visit http://www.messe-stuttgart.de/en/r-t/ for more information about the world trade fair.